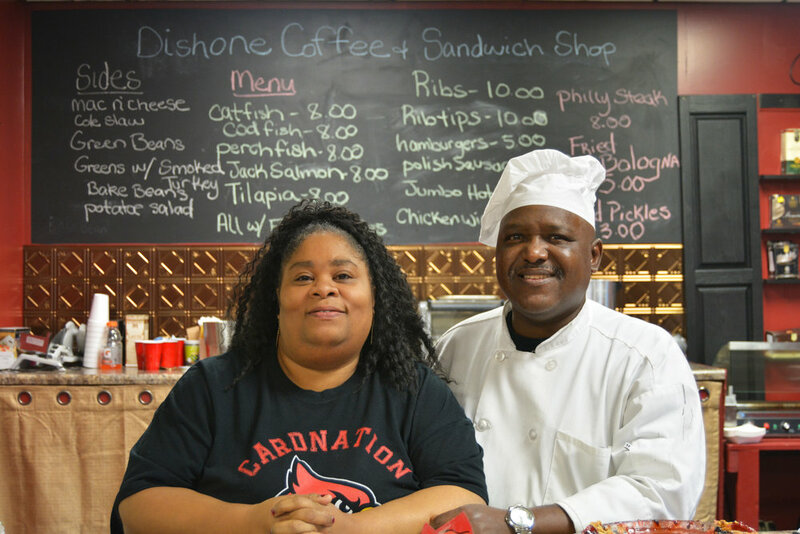 "The reason why we opened our business is because my husband was sick. He went into kidney failure. He lost his kidneys and then he recently received new kidneys two years ago. He was a chef for a long period of time. We decided to make the menu to cater to people who are on dialysis. They won't have to worry about their phosphorus being high. If you have kidney failure you can't eat potatoes and cheeses. Then we found natural oils for different people with diabetes. I have neem and hemp seed oil and different stuff that you can used on your body that's healthy for you and all natural. I have black seed oil that's 2,000 years old and cures everything except death. You don't learn this in schools. I worked as a nurse for 27 years. I used all my savings to get where I am today. I still got a long road butut God's brought me through all the struggles.